The packaging market is growing exponentially. 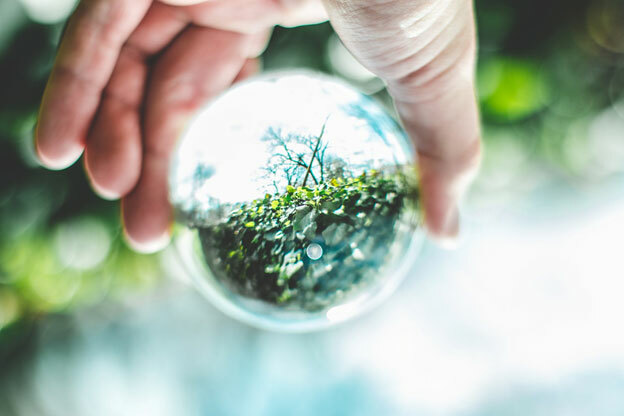 The industry has to adapt to the new and emerging trends in order to stay within the legal boundaries and meet the new demands and needs of ecologically aware clients. This is why we can see a number of new materials being used in this industry. The new, eco-friendly packaging trends are definitely taking hold. If you are not aware of the newest practices in this field, we are here to inform you. Here are the top 4 eco-friendly packaging trends that you should know about. Cartons have been used by the packaging industry for ages now. In 2017, they became a huge eco-friendly trend. Since cartons are biodegradable and can be recycled, there are more and more customers who prefer to receive their goods inside containers made predominantly of cartons. At the same time, cartons are perhaps the most environmentally friendly form of packaging. We are happy to see this type of packaging in the industry again, especially because cartons cut carbon dioxide emission by an amazing 60%. In the food industry, there is a brand new trend – the use of flexible plastic packaging. People prefer this type of packaging because the material is lightweight, affordable, and recyclable. At the same time, there is an increasing demand for packaged goods, especially in developing countries. This new trend is going to slowly push away the use of metals and glass in packaging. Flexible plastic packaging is convenient for shipping companies as well. It allows them to accommodate single-person needs and reach out to other businesses with a custom solution. This practice will promote the use of flexible recyclable plastic containers. It appears that biodegradable materials are bound to push polyethylene out of the commonly-used protective packaging materials category. The packages and bags made out of biodegradable materials are completely natural. These packages are easy to break down and they have minimal impact on the environment. As water activated tape use increases, we cannot ignore it. In fact, it’s one of the leading trends in the packaging industry. Why? Because it is unbelievably strong and adheres nicely to cartons. At the same time, water activated tape is 100% biodegradable and recyclable. There is another reason for it becoming so popular – it stays functional in even some of the dirtiest environments. This is why you can see it being used in warehouses and shipping yard containers. Since it is strong, it can be removed without leaving a mark, which is a convenient way to add an extra layer of security to the packaging process. As the customers grow more aware of and concerned for the environment and its sustainability, the industry has to respond with the appropriate solution. Eco-friendly packages are developed and not only implemented to help people easily recycle but also to save and protect the environment. These are 4 eco-friendly packaging trends that you should know about. If anything, new hits the market, we will share it with you as soon as possible. For now, feel free to check out some of Fapco’s revolutionary packaging solutions.